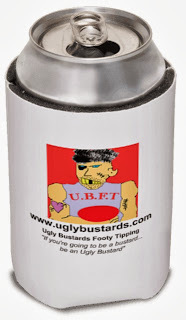 Proving that Ugly Bustards Footy Tipping aren't really heartless ugly bastards afterall, we're making retrospective and ongoing 50% donations to the Juvenile Diabetes Research Foundation (JDRF) for every Uglybustards Stubby Holder sold! JDRF is the worldwide leader in funding research to cure, treat, and prevent type 1 diabetes. Type 1 diabetes is an autoimmune disease that strikes children and adults and lasts a lifetime. More than 122,300 kids and adults in Australia have this disease, and this number grows each year. Progress in type 1 diabetes research has been extraordinary, with continued advances that are improving the lives of those living with it. I sincerely ask your support as my 14yo niece Zoe is living with this disease. 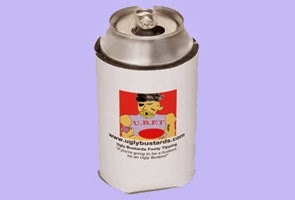 If you purchase an Uglybustards Stubbyholder, $5 of every $10 purchase is going towards research for a diabetes cure. To purchase, contact Ugly Bustard at uglybustard@uglybustards.com. Uglybustards Stubby Holder. Support diabetes research and buy one now! If you wish to make a direct donation, go to the Ugly Bustards Footy Tipping Fundraiser page for JDRF to raise funds for important medical research to improve the lives of those living with type 1 diabetes (also referred to as T1D). Your donation can help transform research projects into real life advances in curing, treating and preventing type 1 diabetes, improving the lives of those living with type 1 diabetes and their families – people like my niece.